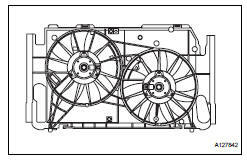 It is normal for the cooling fan to sometimes rotate when the ignition switch is turned from acc to on. Turn the ignition switch on with the a/c switch off. Check that the cooling fan stops. 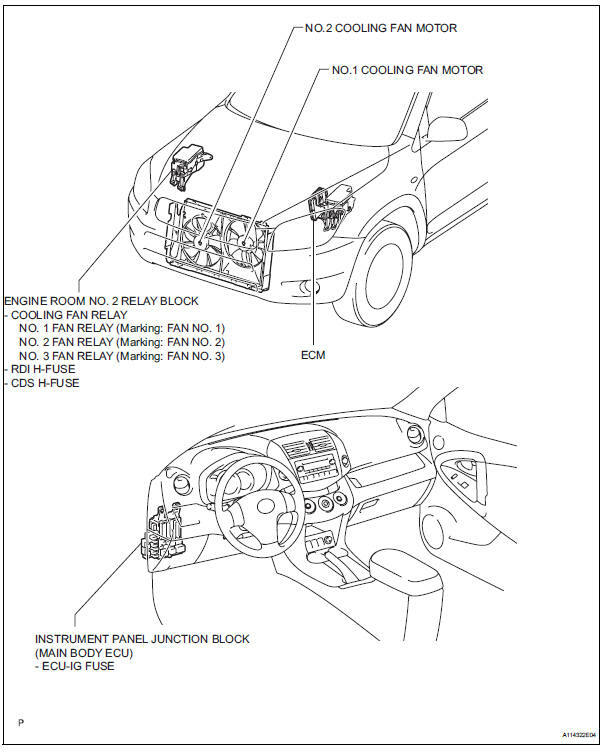 If it does not, check the cooling fan relays and engine coolant temperature sensor, and then check for disconnection of the connector or a wire break between the cooling fan relay and engine coolant temperature sensor. Disconnect the engine coolant temperature sensor connector. Check that the cooling fan rotates. 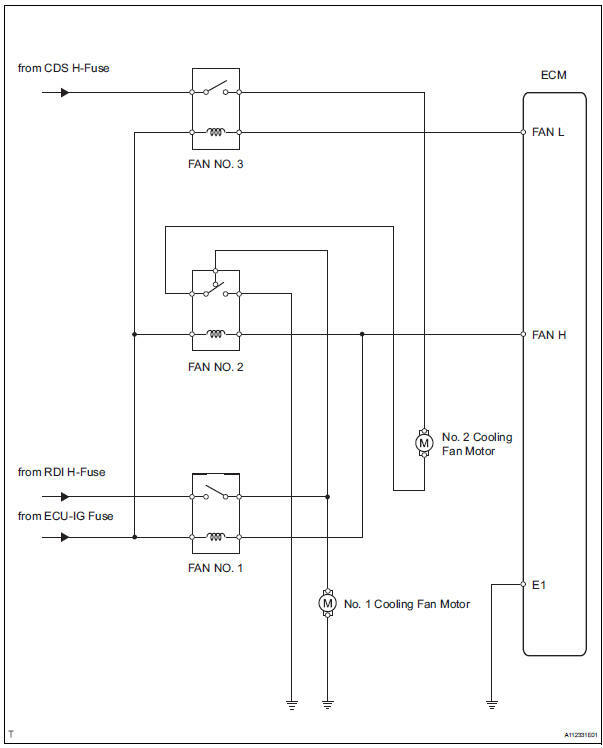 If it does not, check the fuses, cooling fan relays, ecm and cooling fan, and then check for an open circuit between the cooling fan relay and engine coolant temperature sensor. Reconnect the engine coolant temperature sensor connector. Start the engine, and then raise the coolant temperature to above 96°c (205°f). Coolant temperature is the value detected by the engine coolant temperature sensor on the cylinder head. Check that the a/c switch is off. 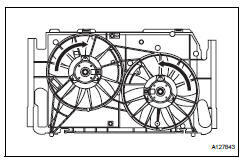 If it does not, check the engine coolant temperature sensor, cooling fan, harness or connector.